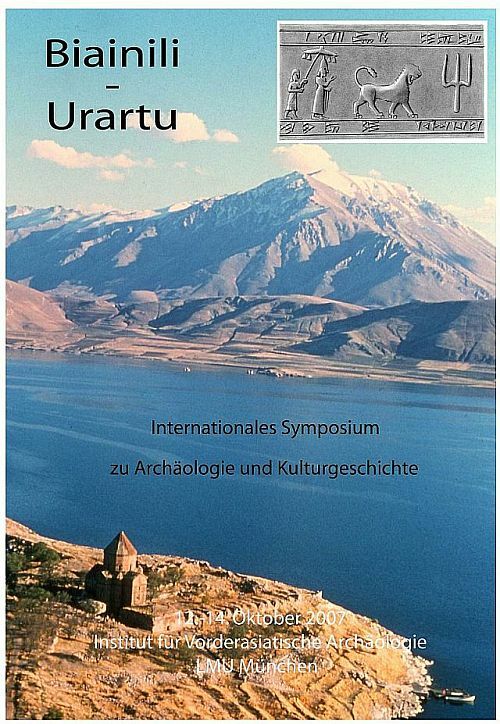 This website is devoted to archaeological and historical research in the area of the ancient near-eastern kingdom of "Biainili", better known by the Assyrian name "Urartu". This is the area of Eastern Turkey, North-Western Iran, Armenia and parts of Azerbaijan. The intention is to inform about recent developments in the area. The contributions of this website are often written in German, sometimes in English. But it is planned to publish them more and more in English for better understanding and distribution. RIVAGES DE LA CASPIENNE / CASPIAN SEA SHORES Contacts, espaces et territoires autour de la Caspienne aux âges du Bronze et du Fer Contacts, Spaces and Territories along the Caspian Sea during the Bronze and Iron Ages. 4-5 décembre / December 2015 Maison de lArchéologie et de lEthnologie (Nanterre, France) Musée dArchéologie Nationale (Saint-Germain-en-Laye, France). Abstracts.